Interpretation is not a verse-by-verse commentary, but instead examines sections of Scripture in a manner uniquely suitable for use in classes and as a Biblical survey. 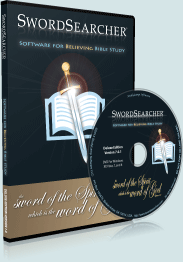 In SwordSearcher, Interpretation is presented in book form. Thanks to SwordSearcher's deep-referencing, Carroll's comments on any particular verse are quickly accessible via the Bible margin and Verse Guide, so you'll be able to instantly locate verse and passage commentary without having to select the associated book volume. This is especially useful since Carroll's commentary frequently spans non-continuous verse ranges. And for those who want to read though the text as originally intended, the entire 17 volume set is right under the CarrollIBE tab in the Book panel. An Interpretation of the English Bible, by Dr. B.H. Carroll, first came from the press of Fleming H. Revell Company in 1913. Revell's copyright was bought by Broadman Press in 1942. These volumes were edited by Dr. J. B. Cranfill, assisted by Dr. J. W. Crowder. In the meantime, it became apparent that the Interpretation was not complete: four volumes were yet needed to include the whole Bible. Dr. J. W. Crowder had in his possession the material of these volumes and at our request edited the following: IV, Poetical Books of the Bible; VI, Divided Kingdom; VII, Prophets of Assyrian Period; VIII, Prophets of Chaldean Period. 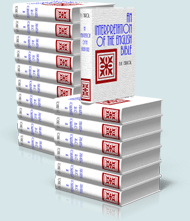 For the first time, therefore, we are able to present the new and complete Interpretation of the English Bible, in seventeen volumes. Of course, no one would be presumptuous enough to attempt to edit the body of Dr. Carroll's work; these volumes are valuable because of the undisputed position of the author in the minds and hearts of our Baptist people. We are leaving the long paragraphs as written; we are not disturbing references incorporating scientific statements which are now out of date, nor have we made any effort to eliminate repetitions or to bring the bibliography up-to-date. As is known by readers of the earlier editions, this work is an interpretation rather than a commentary in the popular acceptance of the latter term. In such interpretation, the author indulges in paraphrasing the biblical text, in inserting now and then a sermon on a vital subject, and in sharing with his readers bits of humor which he has picked up along the way. After each chapter a lengthy list of pertinent questions is appended. The reader finds Dr. Carroll's knowledge of the Bible positively amazing, and rejoices in his strict adherence to the objective with which he started: "We set out not to study human creeds, but the Bible, and we agreed to let the Bible interpret itself and mean what it wants to mean."